The Cars Start-up and Solar Battery Protector is a new generation of high-tech environmental protection product which we can call it as Battery Protector and Battery Saver. It utilizes battery energy or float power supply to produce smart electronic pulse, to keep the battery always maintain efficient working condition. Choose a battery smooth surface with no heat, no overflow acid and not sealed, wipe out the dust and water vapor; tear off the double-sided adhesive protective film at the bottom of the battery smart pulse protector, press to the installation position, (suggest to prepare glass-rubber or AB glue to make the protector bottom firmly adhesive). Loosen the fixed screw on battery pole, connect the black wire of protector to the negative(-) terminal of the battery, the red wire to the positive(+) (refer to the drawing below), and then tighten the screws of battery. The Car Start-up Battery Protector and Battery Saver identified herein is covered by a 2-YEAR warranty valid from the date of purchase. This warranty covers defects caused by faulty components or workmanship, including the labour required for repair in our authorized workshops.This warranty does not cover defects caused by incorrect installation, improper use or abuse. The existence of such causes shall be determined by our workshops technical services. Looking for ideal Battery Pulse Desulphator Manufacturer & supplier ? We have a wide selection at great prices to help you get creative. 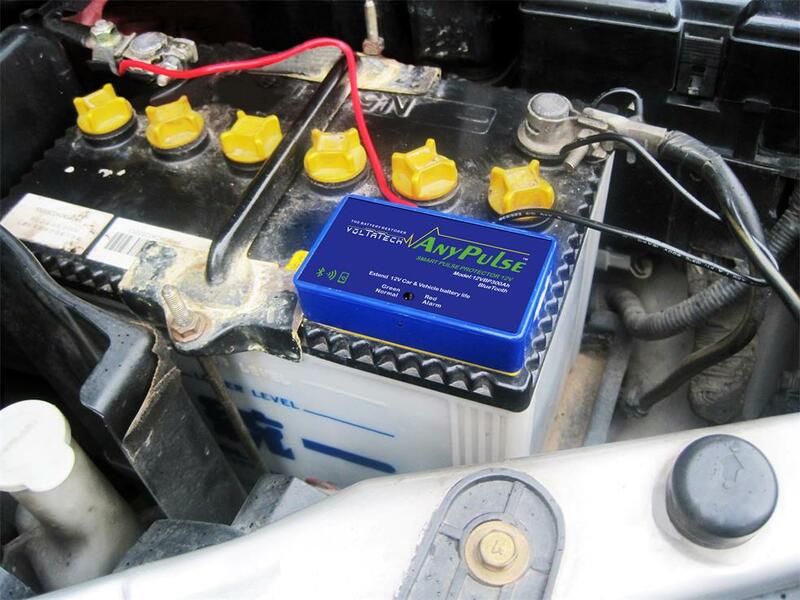 All the Car Startup Battery Saver are quality guaranteed. We are China Origin Factory of Battery Repair to Extend Battery Life. If you have any question, please feel free to contact us.